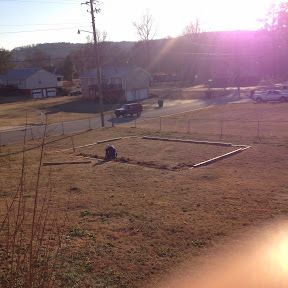 Day 36: Patrick started working on the play area in the back yard. Sometimes when I give him a project he gets a little carried away. I've started calling this "Six Flags over Morris". Hopefully it'll be completed by Spring. Day 37: My parents kept Barrett and we got to go on a date. 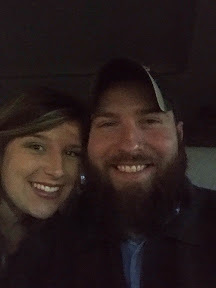 We went to see American Sniper. It was so good. After the movie we went to The Cheesecake Factory for appetizers and dessert. It was delicious. 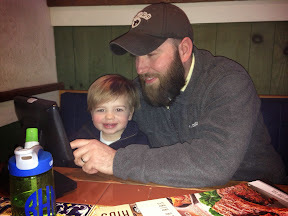 Day 38: We had family night out and went to dinner at Chili's. The boys had so much fun playing on this game thing they have on the tables. Barrett looks so old. I don't like it. 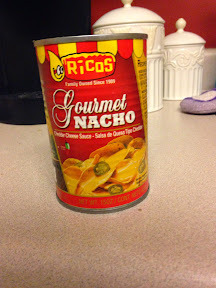 Day 39: We had nachos for dinner with "ballpark" cheese. Its so gross and so good. 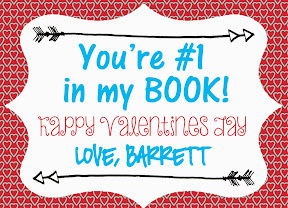 Day 40: I forgot to take a picture so I shared Barrett's valentines for his class. I found cute little popup books in the dollar section at Target. I was so excited. They turned out so cute. 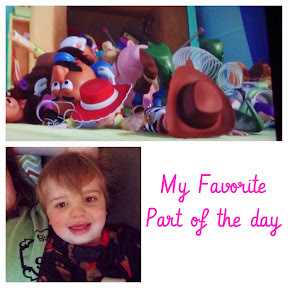 Day 41: We introduced Barrett to the wonderful world of Toy Story. My favorite part of the day is snuggling with him before bed. 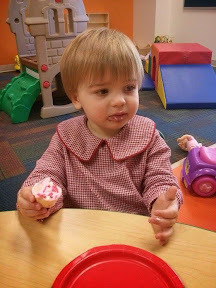 Day 42: Barrett's teacher sent me this picture of him eating a cupcake a the Valentine party. She said he had two. I'm not surprised. We've had a kind of crummy week around here. I'm so thankful for this little ray of sunshine in the storms of life. He brings us so much joy. 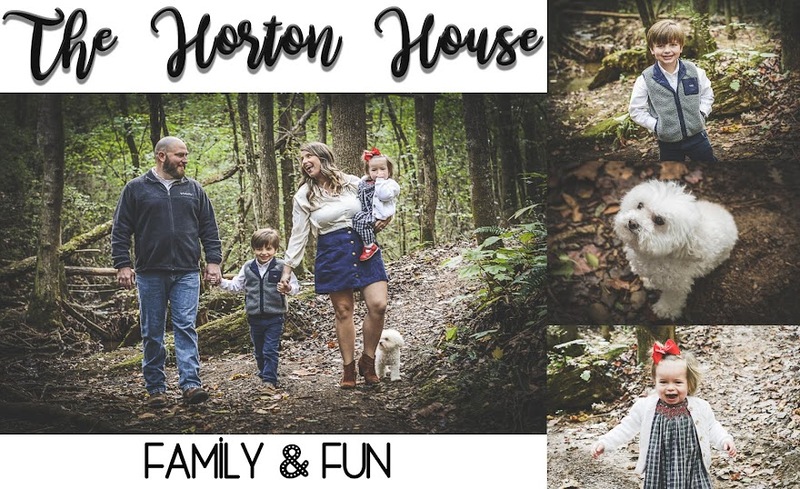 Weekend Fun! We went to the Zoo!